Oh what a maddening book! Maddening because there were glimpses of greatness, glimpses of what could have been a seminal work, but I wanted so much more than glimpses. This is her only novel, and it is clear from the start that it contains much that is autobiographical. Aleta Day was reared by parents who set out to “break her spirit” but she survived, and she tells the story of her childhood beautifully, and with an understanding of its consequences that is truly moving. She learned that appearances were everything, that she could be quietly subversive. And at school, when her friend Ned questioned the English version of history that they were taught, she learned to question everything. She grew up to be a journalist, a suffragist, a pacifist, an activist. But I missed seeing Aleta grow from a child with ideas to a woman with convictions, because the story took a big leap forward. Aleta Day fell in love with another journalist. A conservative journalist, a heavy drinker with an estranged wife and a young adopted son. They argued but they were happy. He went to fight in World War I and Aleta went to fight for her pacifist ideals. The ending would not be happy. I was charmed by Aleta; she was warm, she was thoughtful, and she was so considerate of those she loved. She was prepared to live with her beliefs and accept the consequences, but she was also prepared to accept that she could be wrong. Not a coward at all. She should have been the heroine of a seminal work, and Francis Marion Benton clearly had the experience, the understanding, the writing talent to make her that. But the experiences that shaped her beliefs are missing. Much of what was happening in the world around her is missing. And sometimes one story of a life, an experience, an incident, says more than any statement of principle, however eloquent the statement, however right the principle. It isn’t that this isn’t a good book. It is. 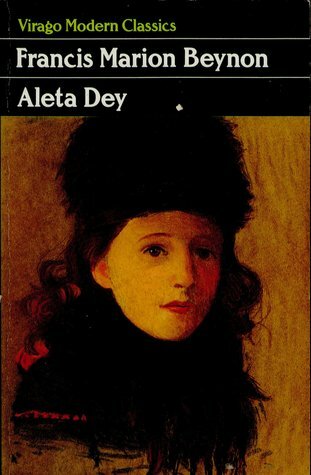 I just wished it could have painted a more complete, more rounded, account of the life of Aleta Day, because if it had it might have been truly great. « The Classics Club Spin has spun me a book ….. Both the author’s and the main character’s names are so interesting – that caught my eye when your post popped up in my reader. I wonder if Beynon had an editor or anyone who might have suggested she put in those missing links – and I wonder why this was her only books. A Virago I’ve never seen or heard of, and it sounds intriguing and frustrating… It’s always so frustrating when you think a book could have been so much better. I’ve never come across this novel, but it does sound interesting, even though you felt it just missed out on being a truly great work.